If you love nature and are fond of the rustic experience, we’ve found a beauty that’s sure to set your heart racing. 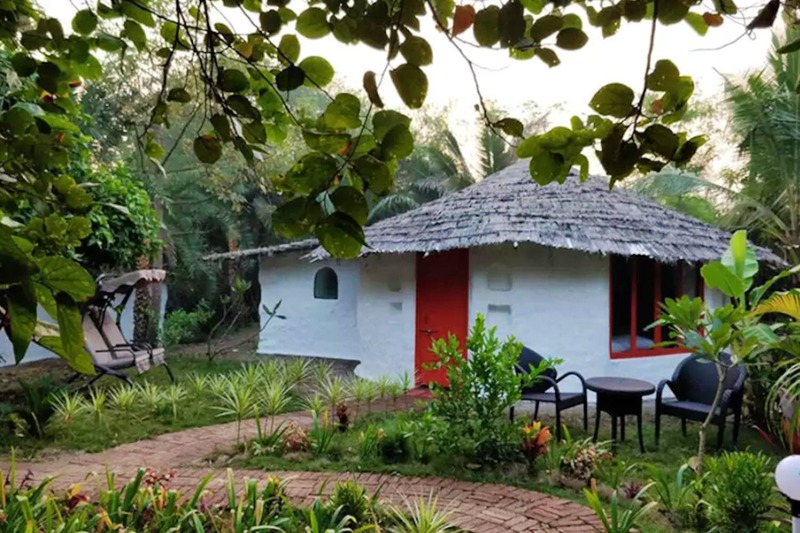 Cob 5 is set on a two-acre farm in Dahanu’s Golvad village, and is designed to help you relax, get one with nature and give you an experience of the countryside. Gholvad, which translates to ‘round tree’ refers to the chikoo trees and orchards in the village. It’s the perfect place to just relax and unwind, with 5 self-contained cottages and calming designs that are unique to each cottage. It also has a swimming pool, free WiFi, a garden and every room has a patio. They also have an all-inclusive meal package that is created by chefs, and you can even enjoy a family barbecue here. Gholvad is full of Parsi ancestral homes that have been converted into guesthouses. You will also find Batasa (Parsi savoury biscuit), Mawa cakes and Irani chai that adds to the comfort. Apart from this, Dahanu beach is less explored, so there’s a lot to do there. You can also explore the village that has clusters of mud houses adorned with Warli paintings on the rust-coloured homes. Each cottage can accommodate two people and the cost per night comes to approximately INR 9,500 per night. For an experience this great, we feel that it’s worth your time and money. Disclaimer: All prices mentioned in the article are at the time of writing the story. If you have any questions, please feel free to contact the owner.